As a new generation of fad diets emerges, advocating high protein and fat meals with low carbohydrates, Singapore’s health authorities are counting calories and sticking to the conventional wisdom. While well-meaning, the problem with both conventional and new diets is that there is no one-size-fit-all solution. Last year, I developed chronic indigestion, which escalated to bloating and nausea. I had to skip meals regularly, and what little I could eat did not digest well. My doctor said I had dyspepsia, and prescribed pills to improve digestive function. By mid-2013, I was also diagnosed with anaemia, caused by iron and folic acid deficiency. I had dropped to a body mass index of 18.5—very close to underweight. I was constantly tired, needing one or two naps a day, and pimples were a permanent facial feature. A traditional Chinese medicine physician thought I had spleen and kidney qi deficiency, complicated by dampness and phlegm, and prescribed more medicine to resolve them. The conventional wisdom was simple. Eat more meat, dark leafy vegetables, and whole grains. TCM further advised consuming walnuts, honey and cooked fruits, and avoiding food and beverages that caused damp and phlegm. There was also the usual advice of exercising regularly, drinking plenty of water and getting enough rest. I quickly developed adverse reactions to the Western medication, and went through three different types of pills before the doctor finally put me on enzyme supplements. Chinese medicine provided more relief over the long term. Combined with lifestyle changes, I thought I was getting better. Then the Chinese medicine began harming me, and the bloating came back. With the conventional wisdom failing me, I looked to the nutrition trends of the day: high protein low carb, Wheat Belly, primal and paleo. I sought new exercise regimes, from yoga to running, Convict Conditioning to martial arts. Experimenting with nutrition and training plans, I learned a few things about myself. Conventional wisdom advocates whole grains and legumes. Paleo-derived diets shun them, arguing that they have high levels of phytic acid and lectins that hinder digestion and nutrient absorption. Save for rice and oats, any more than a single serving of grains in a sitting led to stomach trouble. Wheat and peanuts always caused gas, but not beans. Conventional wisdom also says carbohydrates are necessary to fuel brain and body, and the Health Promotion Board insists on counting calories. Mark Sisson blows off calorie-counting, instead creating the carb curve to tailor carbohydrate intake to activity levels. Paleo-derived diets replace carbohydrates with fat, claiming that fat is more energy dense, increases satiety and does not trigger an insulin response. After increasing my intake of oily nuts and fatty meats, I enjoyed a more constant energy flow. I found that my maximum starch intake was two servings in a single sitting. Coupled with increased portions of vegetables, I was meeting my macronutrient needs without gastrointestinal difficulties, and with no need to count calories. Mark Sisson loves large salads for lunch, and mainstream nutrition agrees that salads are healthy. But salads gave me stomachaches—according to TCM, raw food weakens the digestive system. Health is holistic, and diet is just one fraction of it. With the new IPPT format came a new exercise regimen. I do strength training twice a week, high intensity intervals weekly, and split the other four days between martial arts, low level aerobics and rest. I keep myself hydrated, sleep as much as I need to, and keep to regular mealtimes and schedules. I took the best of the old and the new, developing my own body wisdom. I overcame my health issues without any medication or supplements, and now I am fitter and fresher than before. My guidelines are simple. Eat when hungry. Drink when thirsty. Take foods that heal. Avoid foods that harm. Stop when eighty percent full. Rest when tired. Exercise regularly. Some principles are universal. Some are dependent on body chemistry and lifestyle. Marathon runners need more carbohydrates. Weightlifters need more protein. People with allergies or religious taboos need workarounds. 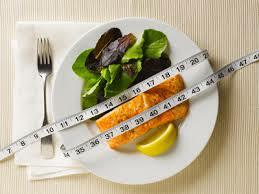 People on weight management regimes may benefit from counting calories. People who exercise less certainly need less calories. Everybody has different needs and requirements. But there are three principles everybody can live by. Seek out experts and understand the source of their knowledge. Experiment and adapt. Ultimately, develop your own body wisdom. It is the last that leads to good health, for today, tomorrow, and the years after.